Heathrow VIP, the airport’s premier service, tasked Creative Triangle with their re-launch event email invitations, gift bags and merchandise, event banners and promotional film. The collateral needed to promote Heathrow VIP’s services as luxurious and exclusive and echo their philosophy of providing a personal and seamless airport experience. 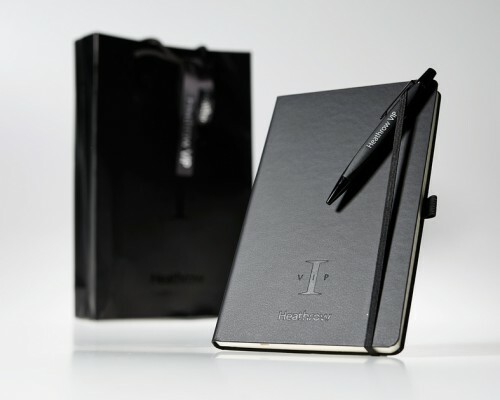 Producing branded moleskin notepads, high end trident pens with a matt finish, housed with the VIP brochure in a gift bag that had a UV spot logo to finish. The promotional video, showcased on screens at the re-launch event at The May Fair Hotel and also on the chauffeur car screens, utilised imagery of the new lounges and descriptions of their offerings and key selling points. Birmingham Conservatoire, part of Birmingham City University, educates and trains musicians to the highest of professional standards. Be it solo performance or orchestra, jazz or classical, the wide variety of creative talent emanating from the Conservatoire really had us inspired. 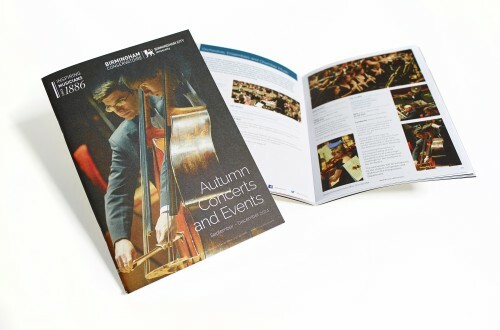 We were tasked with reinvigorating the autumn concert and events diary. The sixty page diary contained listings for over 100 recitals, events and masterclasses. Utmost importance was placed on designing a flexible layout that gave prominence to the key details. Click here to view the full diary and find out more.